Designed for Field Applications with a Very High Signal Count. 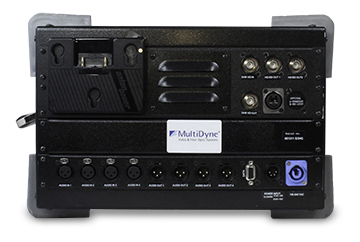 The MultiDyne LiGHTCuBE is designed for field applications with a very high signal count. Typical applications are ENG, sports, mili–tary, announce booth and any field application where battery powered equipment is required. 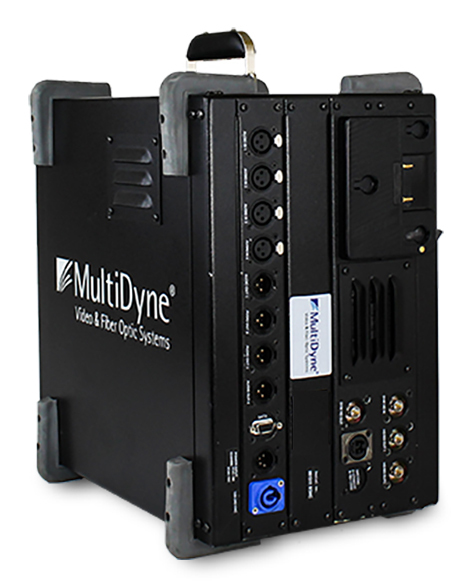 The HalfCuBE can be linked via tacticalfiber cable to any MultiDyne product. The LiGHTCuBE is fully customizable, offering virtually any signal compilation. Think of theHalfCuBE as a portable rackmount kit with an I/O panel. Just pick and choose from almost any of the MultiDyne, off the shelf, fiberoptic units and we will integrate them into your HalfCuBE. Then just grab it by the handles and head out to your next event.